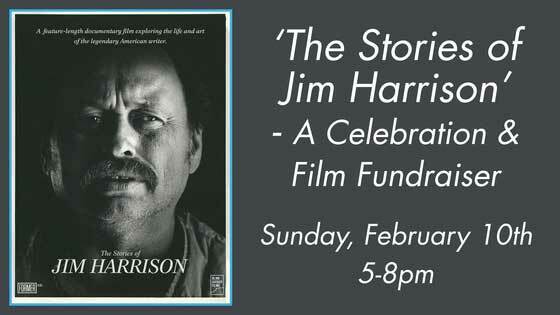 A new documentary film, “The Stories of Jim Harrison,” will explore the life and art of the legendary American author. A benefit dinner for the film’s release will be held Sunday, February 11, 2019, at Axle Brewing Co in Ferndale, Michigan. “The evening includes Axle’s craft beer, wine & cider, a strolling dinner featuring Harrison-inspired comfort food and cured meats and cheeses from Mongers’ Provisions. There will also be readings and storytelling from local writers and Harrison fans, including Toby Barlow, Thomas Lynch and Monica Rico.” For more information and to purchase tickets, click here.